Dave Carvajal is a builder of billion dollar businesses. As CEO of Dave Partners, Dave is a sought out advisor and consultant to Board of Directors, venture firms, CEO entrepreneurs and leadership teams of some of the most exciting growth companies in the technology space that are making the world better. Dave built HotJobs to 650 employees, $125M in revenues, IPO and $1.2B market capitalization as co-founder. The HotJobs team experienced a second exit with the acquisition by Yahoo! in February of 2002. He built TheLadders to 400 employees and $85M in revenues. Graduate of executive education and leadership programs at The Wharton School, Columbia Business School, and The Harvard Business School. Bachelor’s degree from Clemson University. Husband to a great woman, father to identical twin boys, and master to Clover the wonder dog. He is an Ironman athlete, who speaks French and Spanish. On track to become a big investment banker in the early ’90s, Dave Carvajal spent two years at Prudential dealing with interest rate swaps, derivatives and risk management strategies. Ultimately realizing that he wanted to be in front of people and not spreadsheets, he decided to rethink his career path and leave investment banking behind. Carvajal was drawn to an ad in the paper that read, “Life is tremendous! Come be a Superstar!” He thought it was cheesy, took the bait and began working for one of New York City’s top executive search firms. At 24, Carvajal wasn’t even aware that the headhunting industry existed. He soon found he was the perfect fit. He learned everything he could about the business from 40 of the best and brightest headhunters. Working six days a week and making hundreds of Sunday calls 24 hours ahead of his colleagues, he became the company’s top producer within eighteen months. This set the foundation for a powerful career trajectory in the executive recruiting industry. Carvajal hand built HotJobs and TheLadders, before becoming a hands-on builder of billion dollar businesses as the CEO of Dave Partners, a leading boutique executive search firm in New York’s Internet, eCommerce and digital media spaces. The firm has helped fill C-level leadership positions and assemble teams for major startups everywhere from NYC to San Francisco, Seattle and Austin. The firm’s clients include Tumblr, Movable Ink, Shutterstock and many others. In the midst of the credit crisis of 2009, the entire headhunting industry was collapsing to a fraction of its size. Many top headhunters bolted for large corporate HR departments. During the chaos, Carvajal sensed an opportunity. He believed technology had the power to create the prosperity and abundance necessary to pull the U.S. and global economies out of the gutter. He also predicted that New York City would become a thriving metropolis of internet and tech-enabled startups. Fueled by these insights, he launched Dave Partners as both a capstone venture and a labor of love with the vision of helping secure the highest caliber leadership teams for the companies that are making the world better and to build a brighter future for all of us. As a result, the company has served as a key architect of the burgeoning New York technology ecosystem. 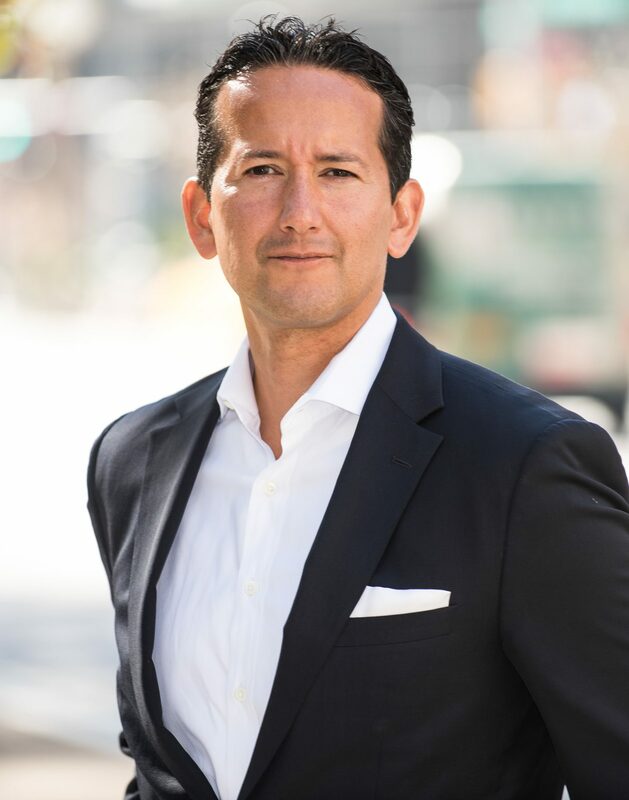 Over the years, Carvajal – now considered the top tech/startup executive search professional in New York City – has emerged as a world-renowned thought leader of the executive recruitment space. He is an expert on board formation and the building of world class executive teams, exclusively comprised of Top 1% A+ Executive Leadership, primed to conquer entire industries and markets. Carvajal’s firm has a dynamic cross-section of clients, from huge companies that rely on Dave Partners to build executive teams to smaller stage companies that Carvajal has helped grow and thrive. Carvajal’s expertise has led him to create the framework for a book he hopes recruiters across the country will consider essential reading. The work addresses the challenge inherent in recruiting the right A+ players as startups continue to grow and multiply. He believes the problem is two-fold: 1) To pry A+ players out of their current positions, you need a pitch that resonates with who they are and what they want to be – and not just one that’s focused on money, perks, prestige, position and power; and 2) To find the right A+ player, you need to make a values match between the company and the individual, rather than a match only between the job specs and an individual’s skills. Carvajal believes that by using a two by two matrix that consists of “You (the candidate) See/You Don’t” on one axis, and “I (the employer) See/I Don’t” on the other, recruiters can identify mindsets as well as accurate and false perceptions to thereby make the right selection and avoid the wrong one. After contrasting perceptions, startups can winnow the list of candidates to finalists who are even more engaged. The two by two matrix will identify who has the technical chops essential for the job, but this is only 21 percent of what makes candidates successful in startups. 60 percent of success is figuring out if an alignment exists between a candidate’s personal mission and values and those of the organization. He calls this concept the “Core Fit Selection” methodology. Another core concept Carvajal will share in his book is the three levels of recruiting. Level 1 is Internet recruiting – posting a job online, receiving 5000 applicants and figuring that one of them is bound to be perfect. He says this is a terribly ineffective way to find a leader. Level 2 is using referrals and networking – which primarily works for mid-level talent but is less effective for startups. Level 3 is taking an evangelical, elite, special forces’ approach to recruiting. Each search for a leadership position must be conducted with a fierce drive to identify who are the best people on the planet for this role and select the right one. Some of the most transformative, disruptive companies in the world have sought out Carvajal and his decades of experience at the forefront of organizational strategy, execution and executive leadership. In addition to his team’s dedication and comprehensive, analytical approach to executive recruiting, another key advantage startups have found in working with Dave Partners is the firm’s speed and efficiency. Dave Partners is often asked to go beyond the search partner relationship and serve as true advisors to its clients’ board of directors as trusted counselors, as well as provide executive coaching and even strategic planning for executives. These extras ensure the wellbeing of the company. 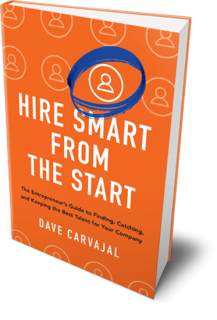 Carvajal paved the way for Dave Partners with his success leading two top Internet based recruitment companies, HotJobs and The Ladders. With HotJobs, he had the opportunity to build a company that capitalized on the Internet’s growing impact on the business world – a phenomenon he likens to the way TV profoundly disrupted radio’s dominance decades earlier. In a nutshell, the company took the help wanted ads in newspapers and put them online. He ran the company’s sales and launched a training program that needed only two and a half months to turn recent college grads into confident sales professionals. He hired their first 500 people and opened eight offices around the country. As Co-Founder, he built HotJobs to 650 employees, $125 million in revenues IPO and $1.2 billion dollar market capitalization before its sale to Yahoo! for close to $500 million. The company startled the advertising world in 1999 when it bought a $1.6 million commercial during Super Bowl XXXIII. Carvajal, whose humble beginnings included growing up in a tough neighborhood in Brooklyn, didn’t know what to do after earning this windfall. He got married, started a family and spent a few years involved in real estate flipping properties – but being away from the day-to-day business world took a toll on his health. The doctor wanted to put him on cholesterol and blood pressure medications and told him to get in shape. He got healthy fast and discovered a passion for Ironman Triathlons. He then decided to team up with some of the guys he hired at HotJobs and built another company called TheLadders. In his five years there, he grew the company to 400 employees and $80 million in revenues and, just as with HotJobs, it became, as Carvajal says, “the hottest game in town” by 2008. TheLadders turned the HotJobs model on its head. Whereas HotJobs was paid for by the companies looking for talent, TheLadders did the opposite with a consumer driven subscription model. It took the search out of job search and served up to people a short list of high quality jobs relevant to their criteria for a monthly subscription fee. “Although HotJobs, TheLadders and Dave Partners were and are very different companies serving unique needs, I can say that they have all taught me the value of finding just the right person to fill a position,” says Carvajal. “I know from experience the skull-crushing pain, suffering and brain damage that comes from making a bad hire, and the complicated process involved in cleaning up that mess. I believe that there is an A+ player for every role, in every company and every CEO should know this. All it takes is the right thinking and a little bit of hard work. “From being on two Super Bowl Championship teams and now thriving in this more targeted space with Dave Partners, I gained experience from making many judgment calls on a person’s character. People trust me because I understand the root causes of what make a company successful,” Carvajal says. Combined with his deep understanding of what drives professional high performance at many different kinds of companies, the foundation of Carvajal’s success is his love for people and his genuine interest in the daily work, motivation and high performance of top executives who are solving humanity’s greatest challenges.